Steel Storm is a classic top down shooter, rife with explosions and things to explode, with a distinct visual style. 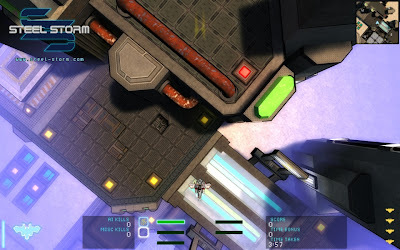 We covered the game Steel Storm in the past a couple of times and the response to the game has been great. Now Steel Storm needs your help to win the 2010 Indie of the Year Award organized by Indie DB. Phase 1: Users can nominate indie games for a top 50 list. Phase 2: Another voting round to select the best from top 50. Voting is really easy. 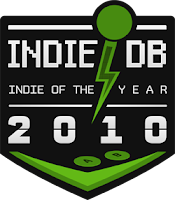 All you need to do is visit Steel Storm Page at Indie DB, register for an account if you want and vote for Steel Storm. So if you like Steel Storm, show your love now and spread the word as much as you can.